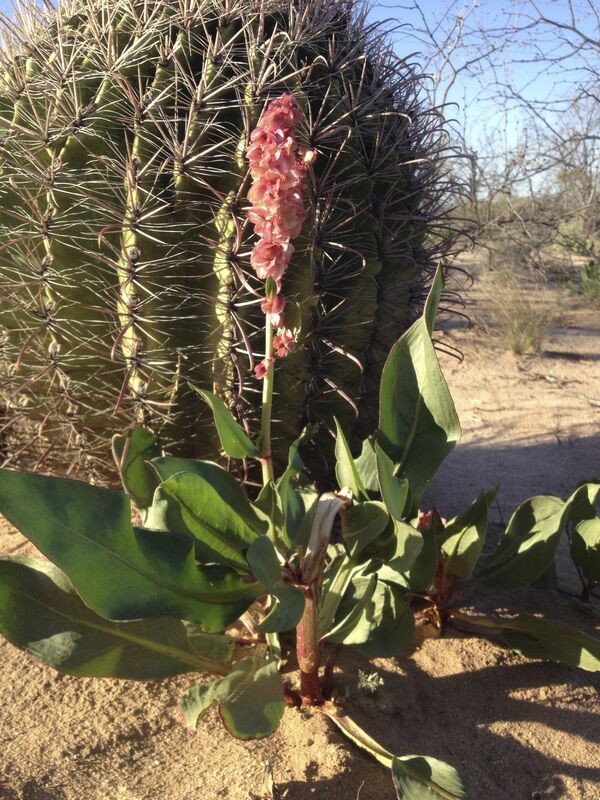 Jacqueline Soule here today to share a savory way to use the flowers of palo verde. In case you wondered, palo verde flowers are slightly sweet and taste mildly like young garden peas. 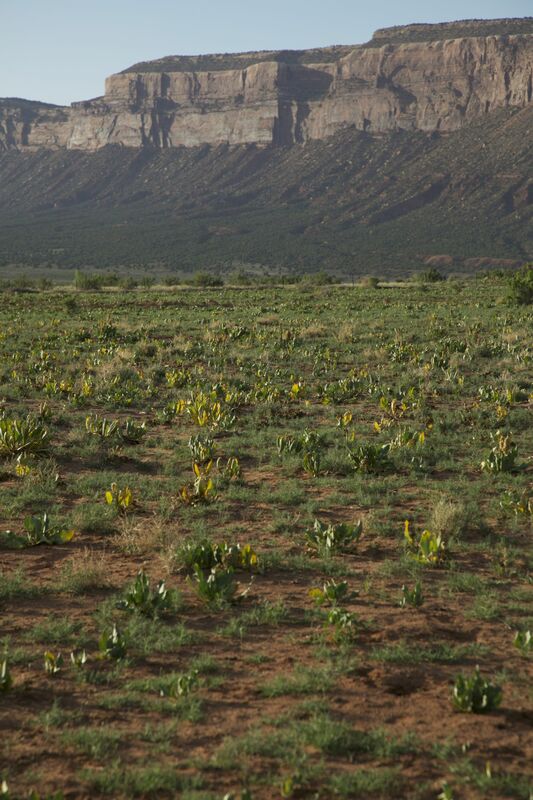 In a handout I got back in the 1970’s, I learned that the O’odham name for this April-ish month is Uam Masad which roughly translates to “the yellow month.” On the slopes of the the Tucson Mountains yellow is certainly the case – with palo verde, brittle bush, paperflower, and desert marigold all combining to cover the slopes in a cloak of glowing yellow. On a still day, the sound of the various species of native bees working their way through this bounty is a many toned symphony of delight to my ears. Desert Museum hybrid paloverde (Parkinsonia X ‘Desert Museum’). I told you that so I could tell you this. 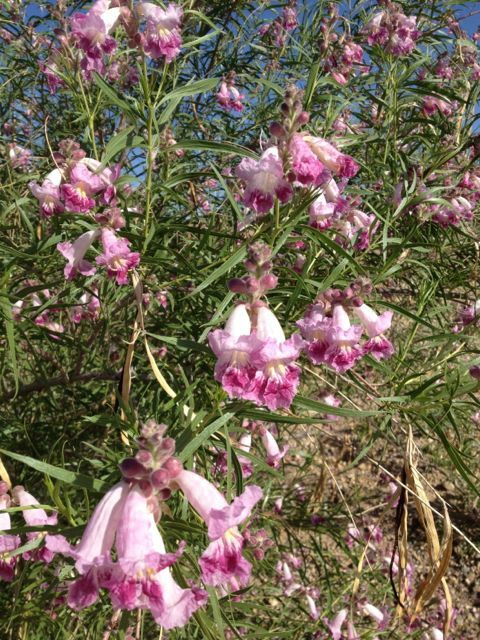 All of these New World species of palo verde have edible flowers. 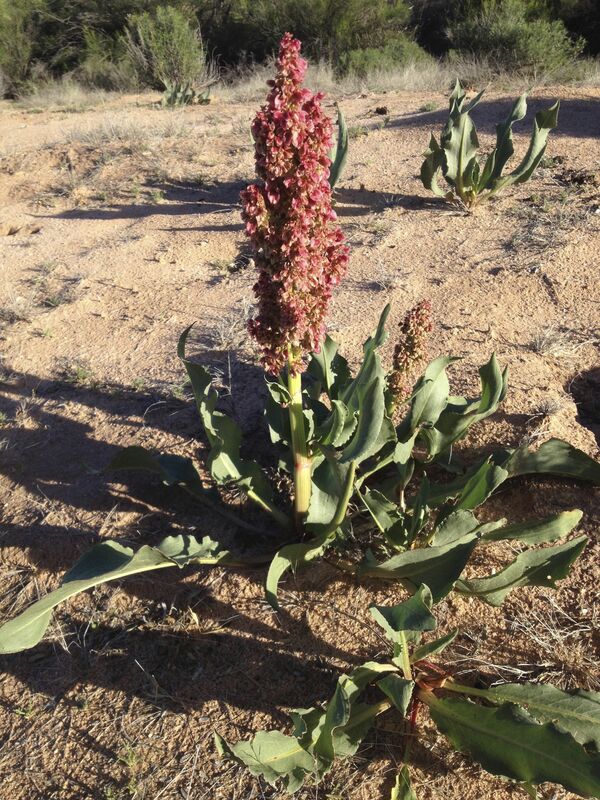 The palatability of the flowers varies though – depending on species and on growing conditions. Sample before harvest. Some are tough and stringy, some are large and flavorful. 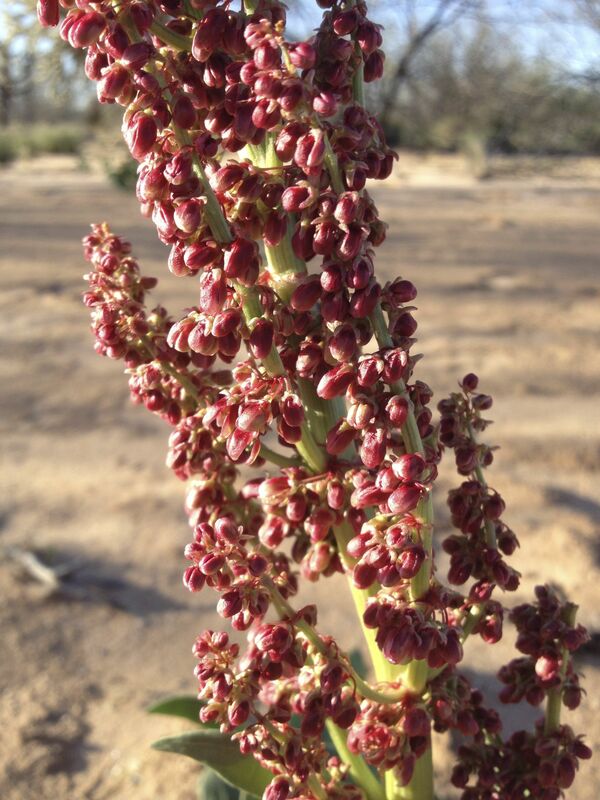 The flowers on the trees in the leach field were especially large and palatable. After the initial sample thou, I left them for the busy digger bees (Centris species) moving among the blooms. Chop up herbs and flowers to an easily edible size. 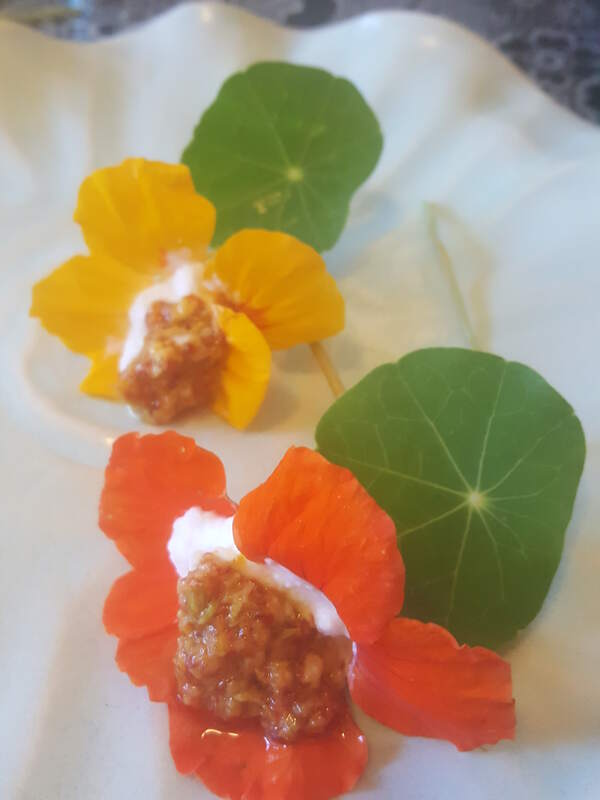 Since palo verde flowers are relatively small, compared to other edible flowers like pansy and chrysanthemums, I wanted to find dishes where I could harvest many flowers in a single swipe along the branch then use them en mass. With a big basket full of flowers, I started experimenting. 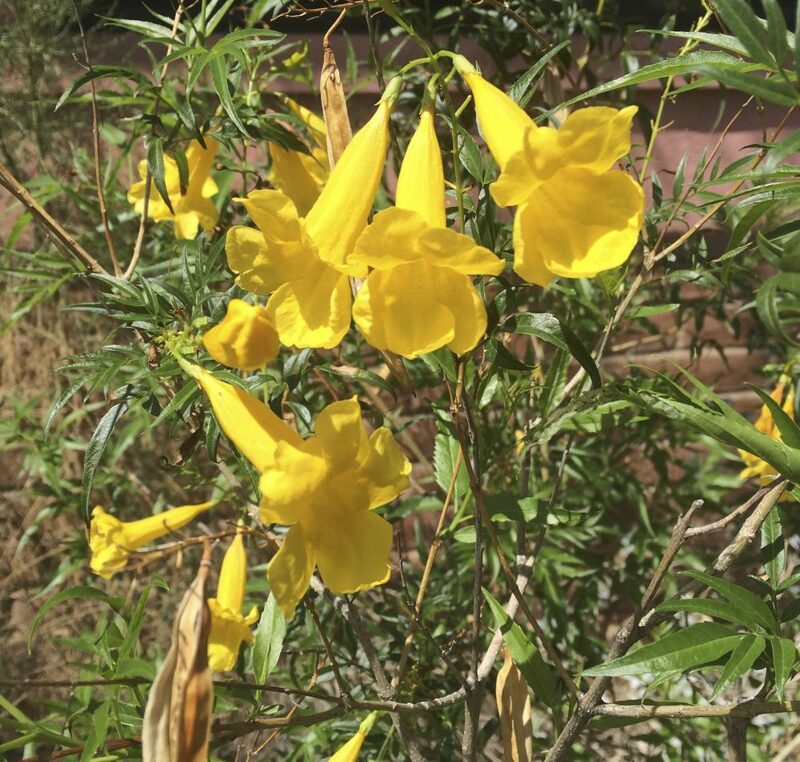 The results – palo verde flowers are fine in salads. They are good in a pancake-like fritters. Lightly sauté the flowers with chard and I’itoi onions then pour eggs over them for scrambled breakfast – good. The floral vinegar will have to wait about a month for my report. 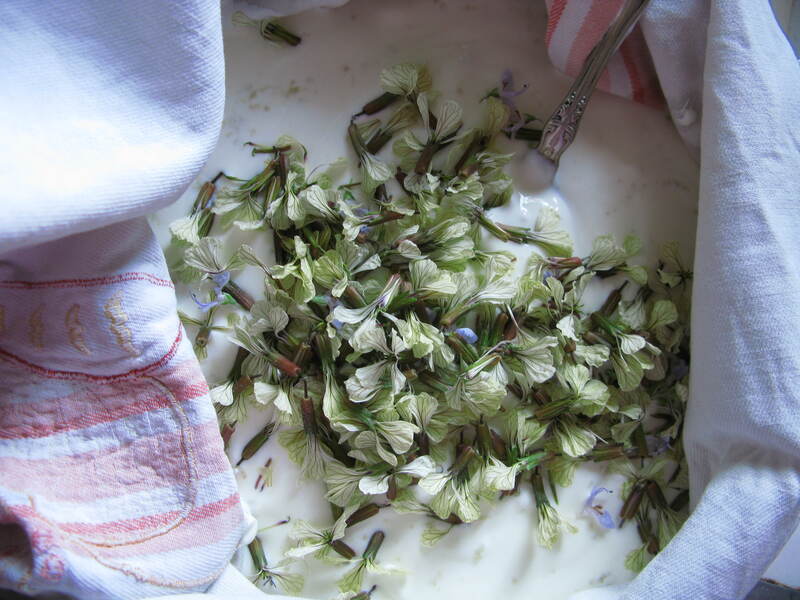 But meanwhile there is my new favorite – bean flower soup. 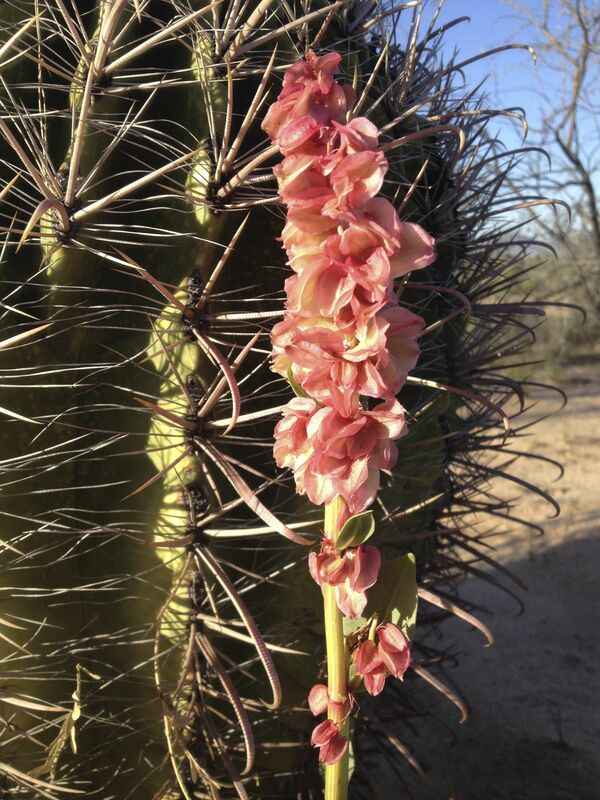 Bean flower soup is especially good late in the season as flowers are intermixed with young developing palo verde beans. Many Americans are not used to the concept of soup before a meal, but it makes sense for three main reasons – even in summer. Such home-made soups are high in trace minerals, helping replace the electrolytes lost to perspiration during the day (especially in our climate). The American Institute of Health estimates that 1 out of 5 Americans is clinically dehydrated, in other words, dehydrated enough to interfere with our body’s ability to function properly. Lastly, for folks trying to lose weight, the hormones signaling hunger take about 20 minutes to become canceled out by eating. Soup first means that your hormones have more of a chance to tell you that you’ve had enough without overeating. If it is late in the season, and you harvest beans with petioles, remove the tough and bitter petioles. 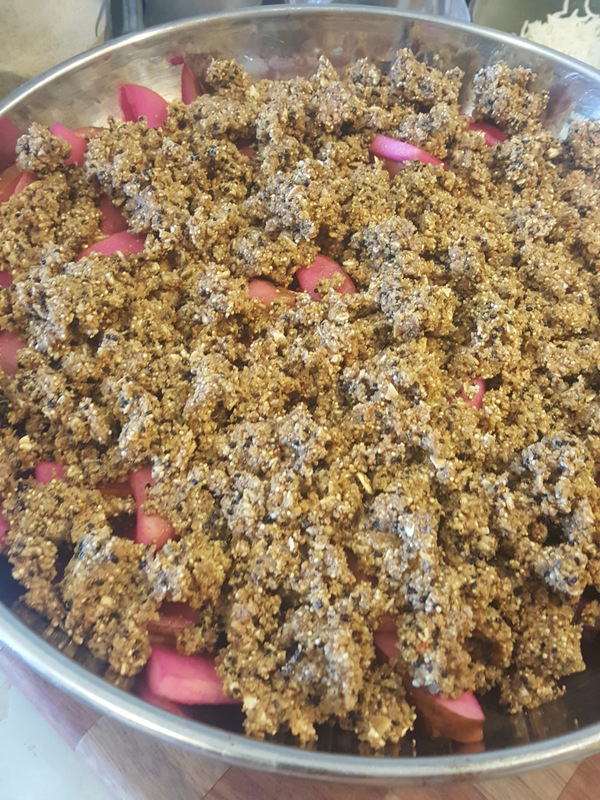 Give everything a good dicing to help release the flavor and make any potentially fibrous bits small and edible. 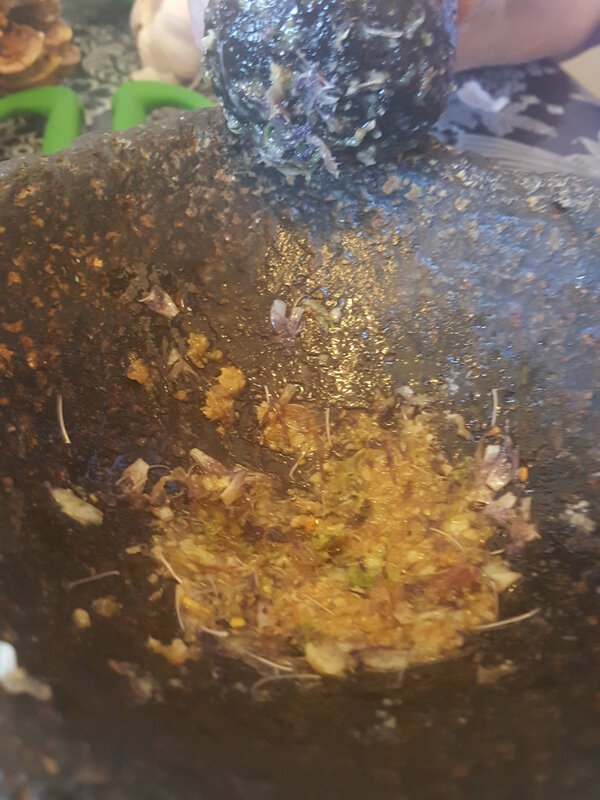 Optionally, sauté the herbs in the oil first to develop the flavor but avoid over-heating the flowers, they can become bitter. Add one quart liquid. Bring to a boil and turn off and remove from the heat. Let sit for 10 minutes to meld flavors together and finish cooking the soup. Serve. Enjoy! 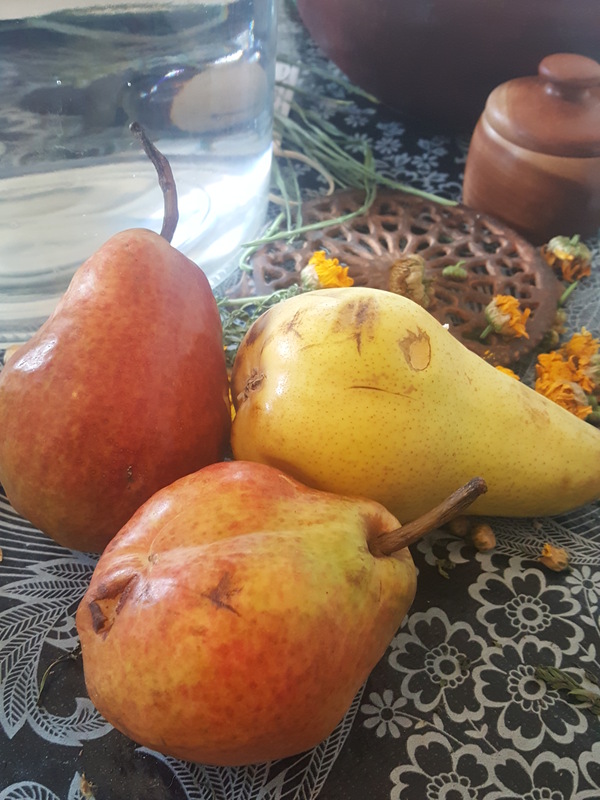 Disclaimer: The authors of this blog have researched the edibility of the materials we discuss, however, humans vary in their ability to tolerate different foods. Individuals consuming flowers, plants, animals or derivatives mentioned in this blog do so entirely at their own risk. The authors on this site cannot be held responsible for any adverse reaction. In case of doubt please consult your doctor. Jacqueline Soule here with another delightful herb you can plant now in your winter garden – anise. 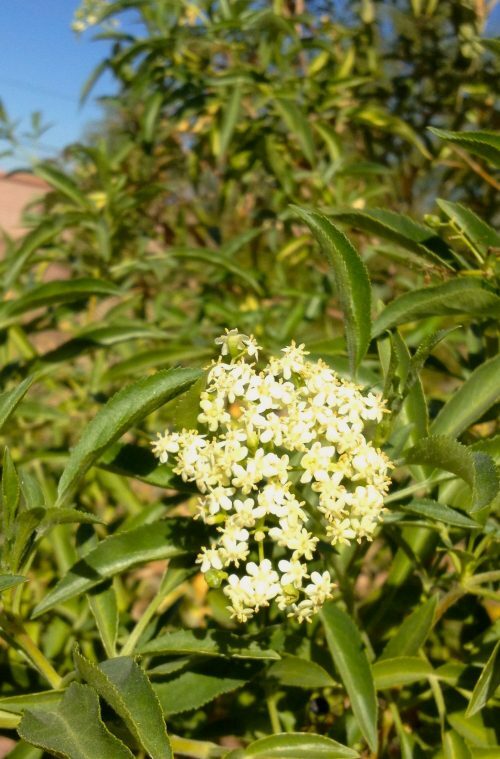 The fragrant anise plant has a long history of use. Pictures of it have been found in ancient Babylonian carvings, Egyptian tombs, and Roman ruins. 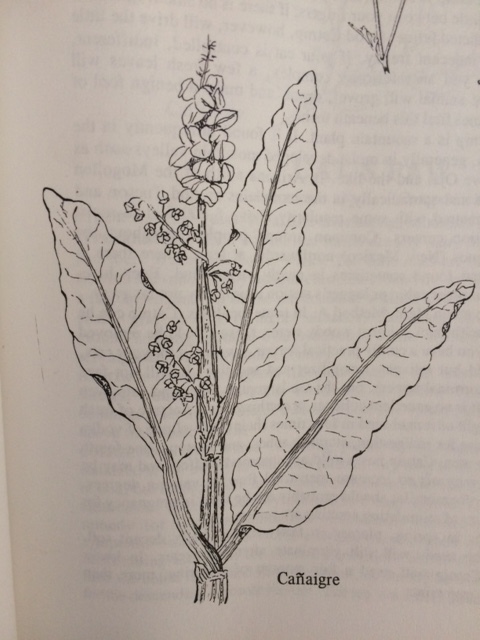 Ancient uses were perhaps medicinal as well as ornamental. We know that by the Middle Ages anise was used in cooking, medicine and mouse traps. Anise seed and fresh leaves are used to promote digestion and to relieve stomach upsets. An infusion (tea) of the seeds has been shown to increase glandular secretions, including gastric glands, sweat glands, and mammary glands. Anise has mild expectorant qualities, thus it was once used in asthma powders, and is currently used in some cold remedies. There is some indication that it is also helpful to alleviate menstrual cramps. In aromatherapy, anise properties are: digestive, head-clearing, warming, clarifying, respiratory, and muscle relaxant. Much of the anise plant is useful. 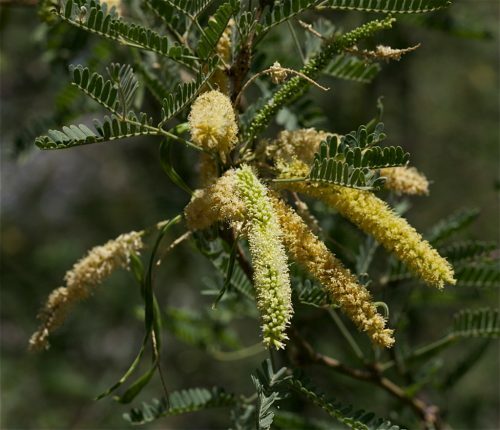 Leaves, flowers, and seed are edible, and are often used as a flavoring agent. 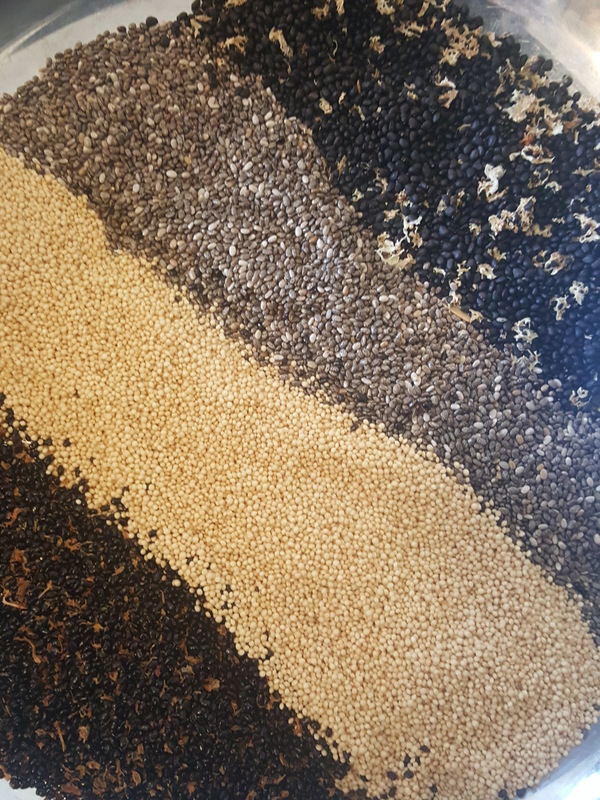 Spice uses vary by ethnic origin, but generally the seed is used, as it is most flavorful and easily stored. 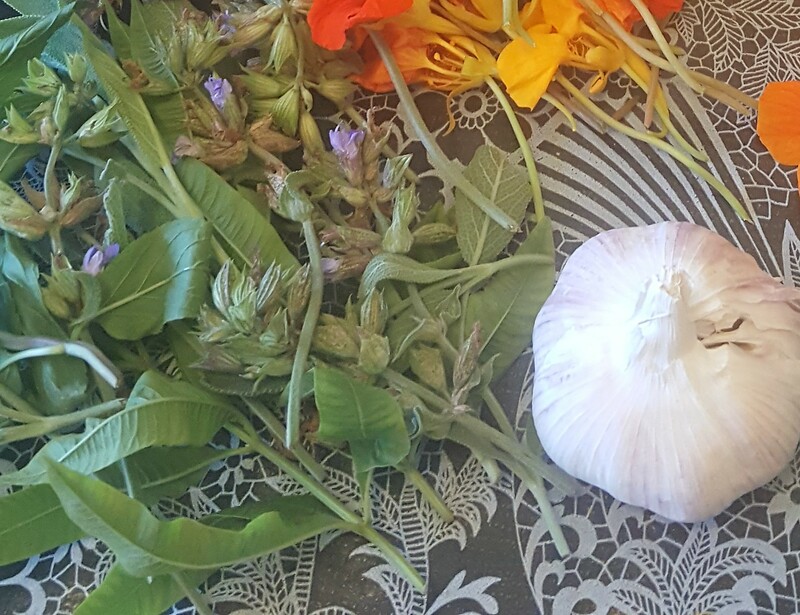 If you have access to fresh anise, enjoy leaves and the edible flowers in salads or sautéed with other greens. And let us not forget anise is used to make liqueurs, including anisette. In the 1970’s there was some concern that anise oil was carcinogenic. Those fears have since been shown to be groundless. Star anise has a similar flavor but comes from the fruit pods of a tropical tree. 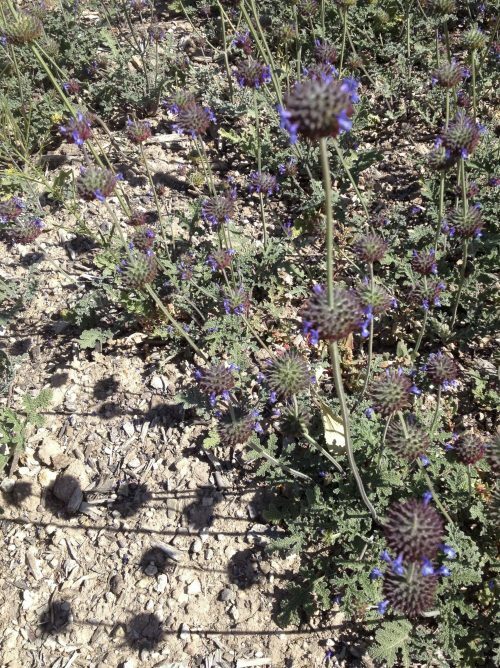 Native to the dry rocky soils of the eastern Mediterranean, anise does well in our area. Late September to November is the ideal time to plant seeds. 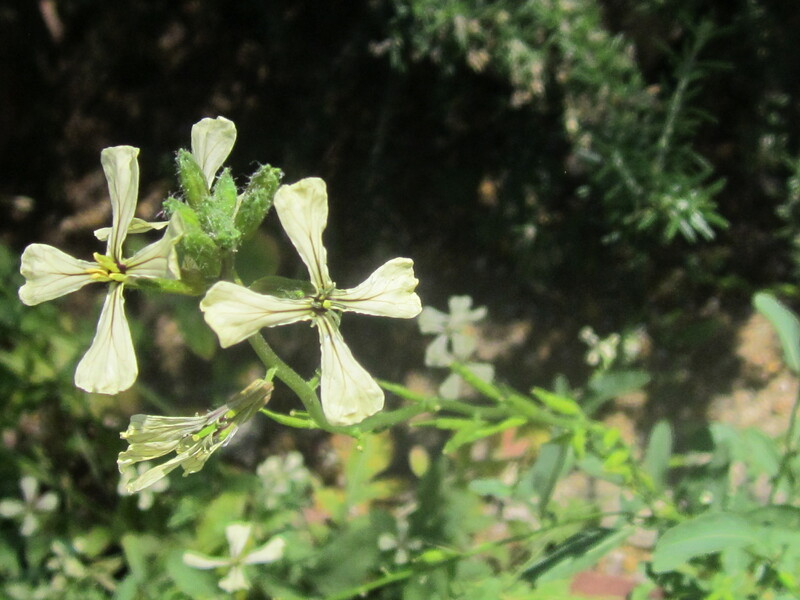 In its homeland, anise grows after the start of their winter rains (the only rain they get). Due to its taproot, and dislike of being transplanted, anise is generally planted from seed and rarely found for sale as seedlings. That said, if do you see seedlings -go ahead and buy some. Much quicker results. 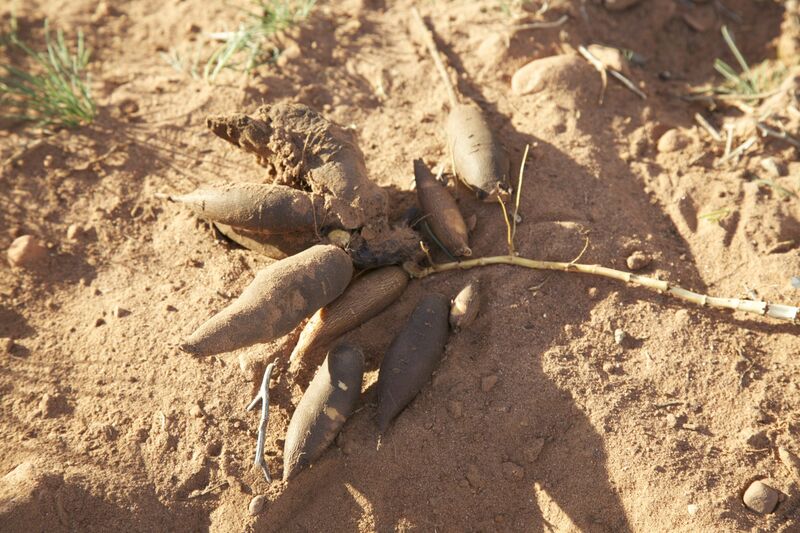 Plant seed in well drained (sandy) soil. Keep evenly moist for the best flavor and highest seed production. 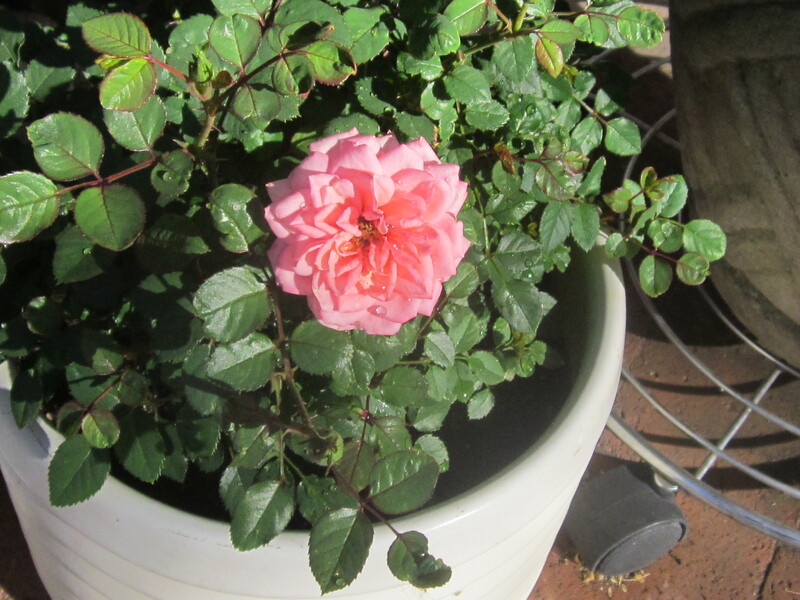 Plants require at least six hours of sun and can be grown in containers at least two feet deep. Fertilizer is not necessary, but if you desire ample seeds, a flowering fertilizer, high in phosphorous, helps produce an ample seed crop. Anise seed cleaned and ready for cooking. Use anise leaves fresh in salads or as a flavoring in cooking. 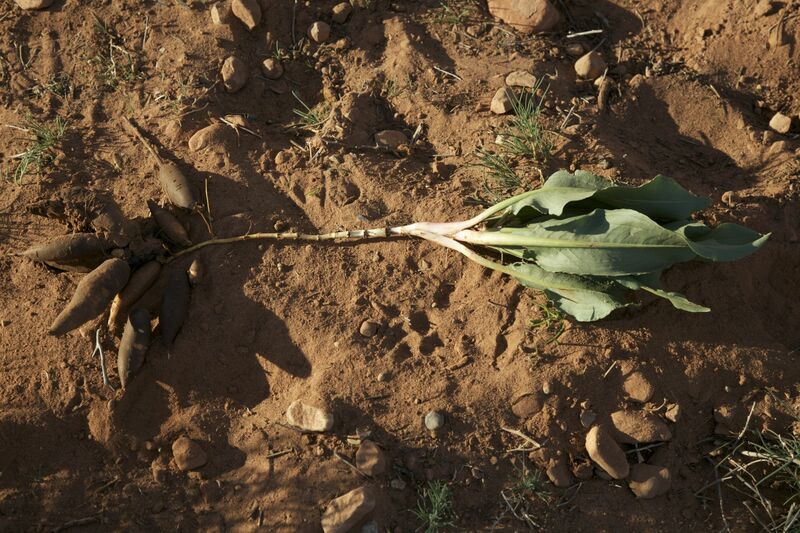 Leaves may be used fresh or dried for tea or use as a culinary herb. Seeds are harvested for use and can be winnowed with a kitchen colander or strainer. About Jacqueline: If you live in Southeastern Arizona, please come to one of my lectures. Look for me at your local Pima County Library branch, Steam Pump Ranch, Tubac Presidio, Tucson Festival of Books and other venues. 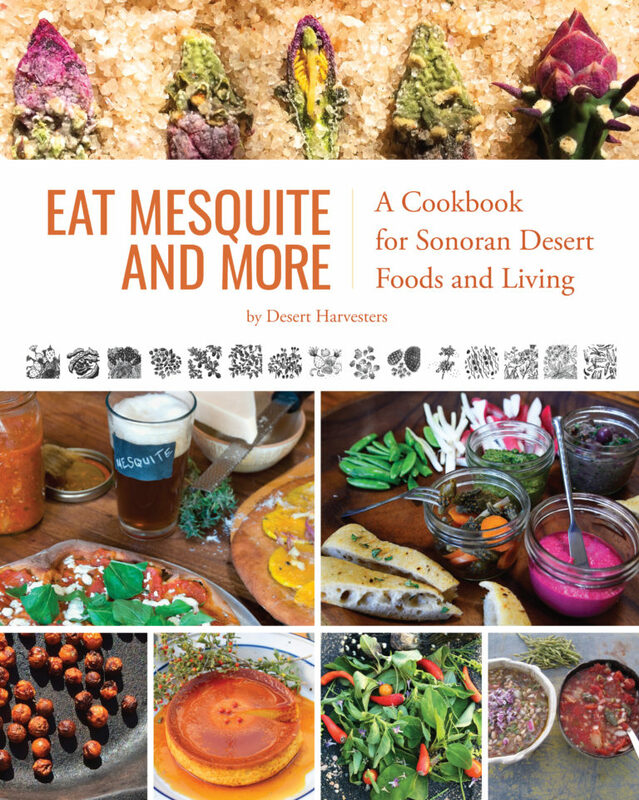 After each event I will be signing copies of my books, including the latest, “Southwest Fruit and Vegetable Gardening,” written for Arizona, Nevada and New Mexico (Cool Springs Press, $23). It’s Carolyn today. 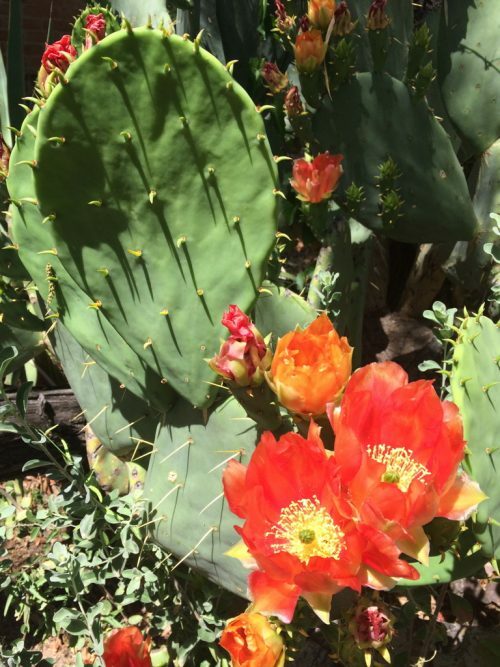 Two months ago Tia Marta wrote about gathering and preparing delicious cholla buds, but that is only the barest beginning of the edible flowers that can add fun and interest to our meals. Spring is the best time to find the biggest bounty of beautiful munchibles. 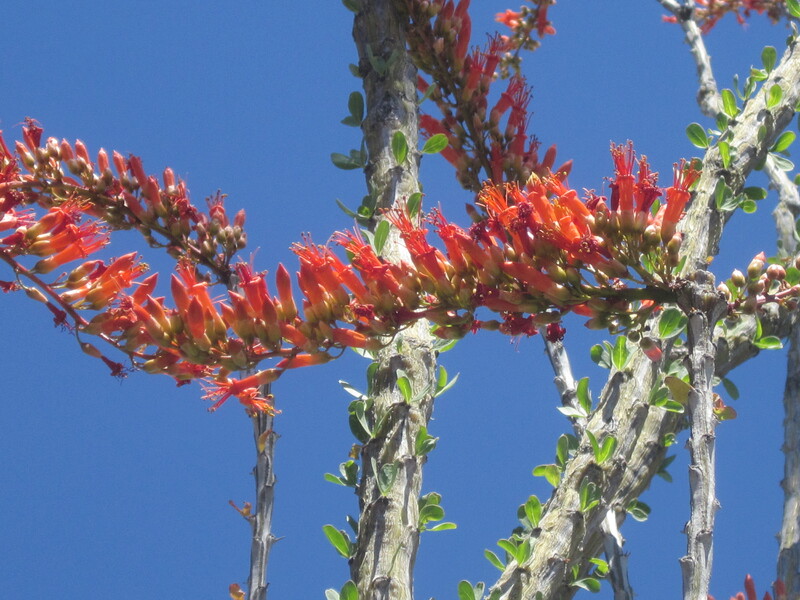 Gather a bowlful of ocotillo blossoms, add water, and let it stand overnight. You’ll have a delicate juice. The flowers must be open for the nectar to leach into the water. 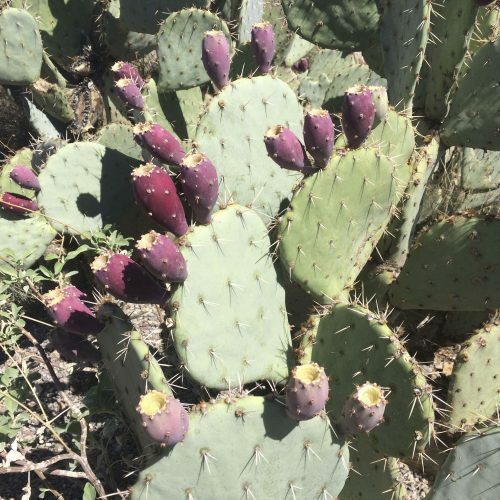 I wrote about the early Native American uses to ocotillo as a medicinal herb in American Indian Cooking: Recipes from the Southwest. 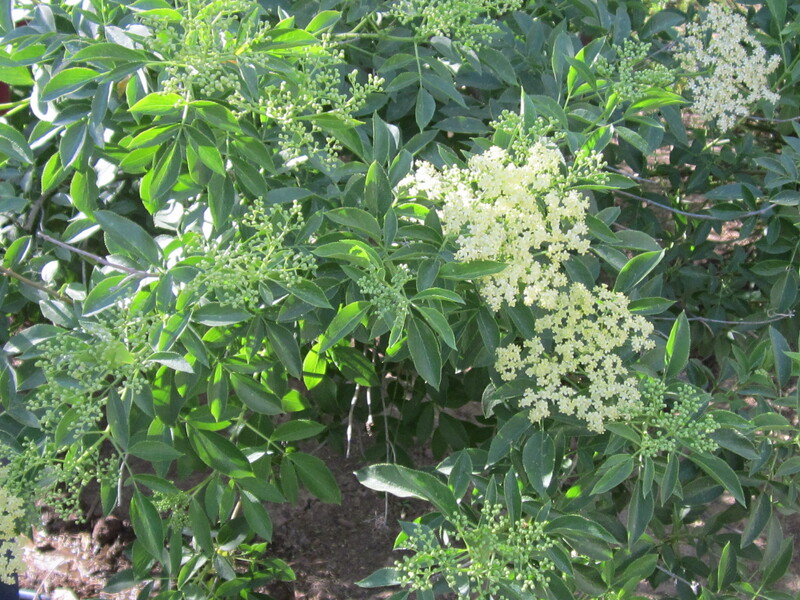 This is also the season for elderberry bushes to flower. 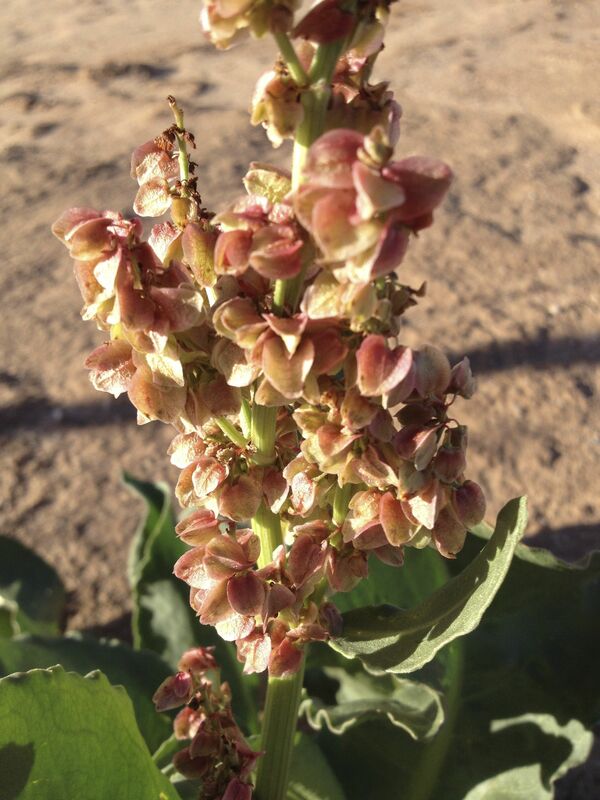 Sometimes called elderblow, the flowers make delicious fritters. I have given full directions in my earlier blog Carolyn’s Southwest Kitchen and you can see it here. 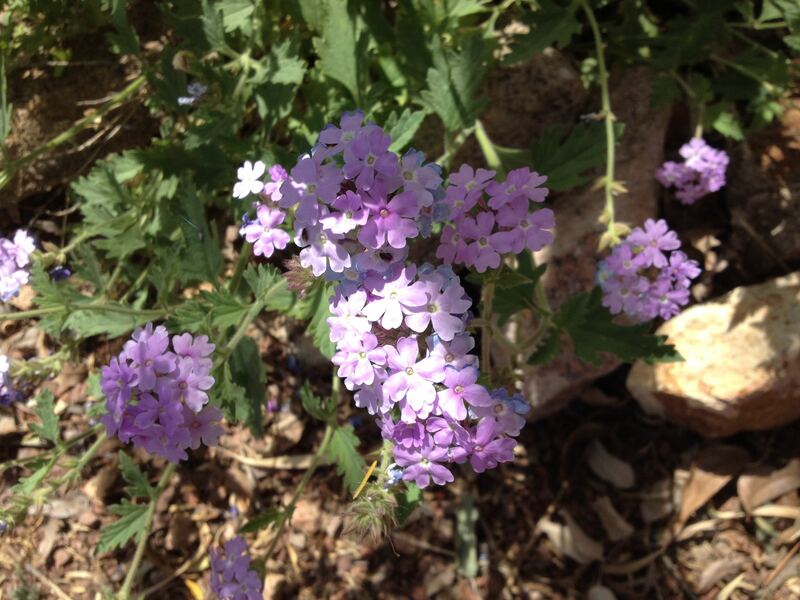 Moving from the desert to your own garden, you’ll find many edible flowers. 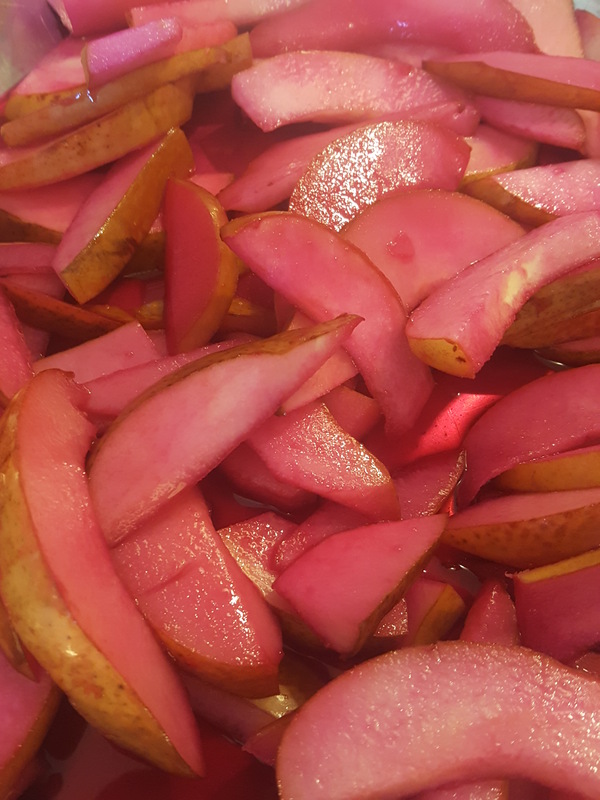 Many of them make delicious additions to salads. 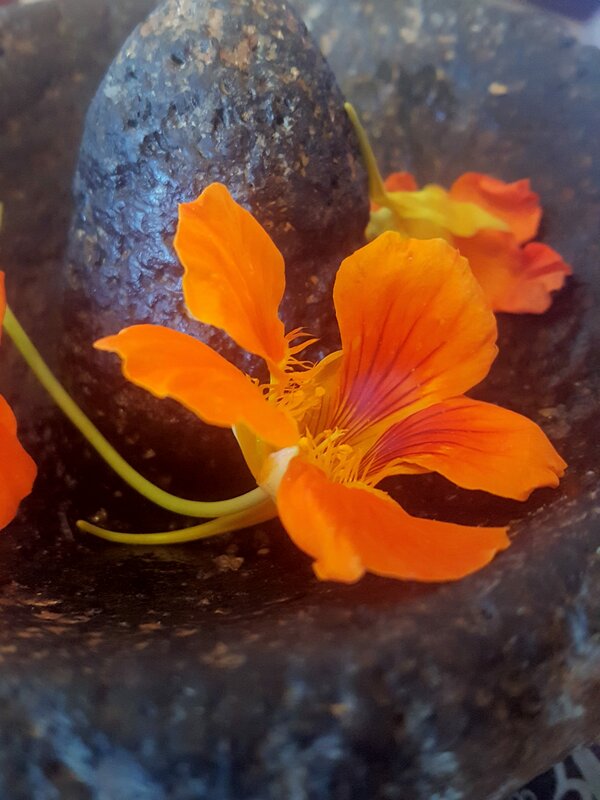 Among them are nasturtium flowers, which have bright, peppery flavor. 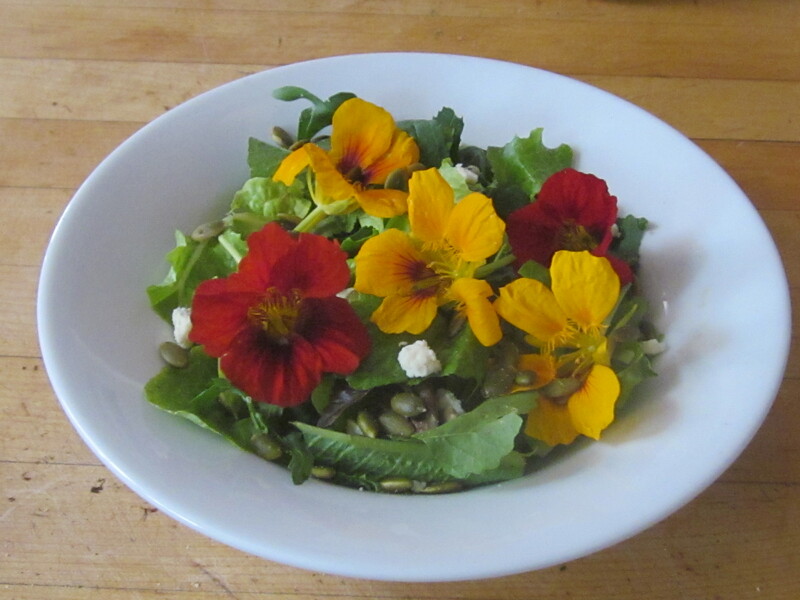 Two colors of nasturtium flowers on a garden salad. 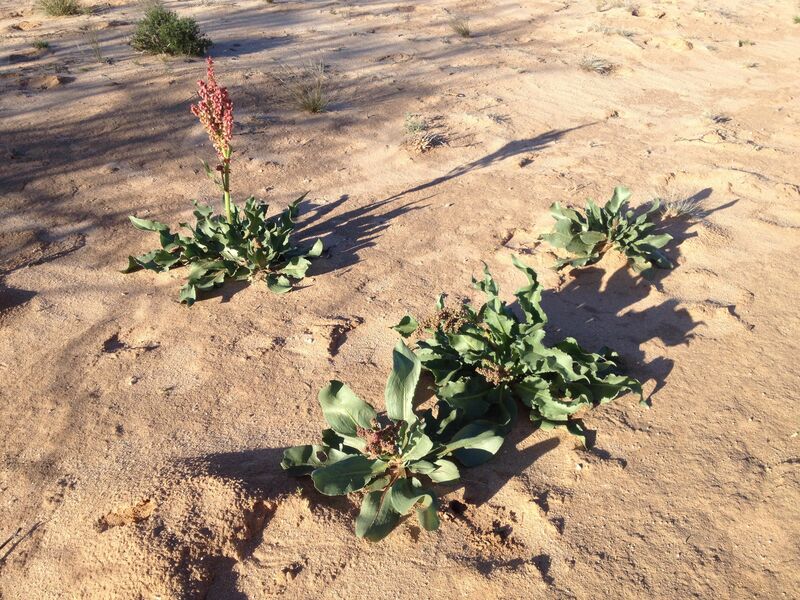 Arugula tends to bolt early and especially did so on this very hot spring on the Sonoron Desert. But the flowers, though small, taste lovely, not quite as intense as the the leaves. 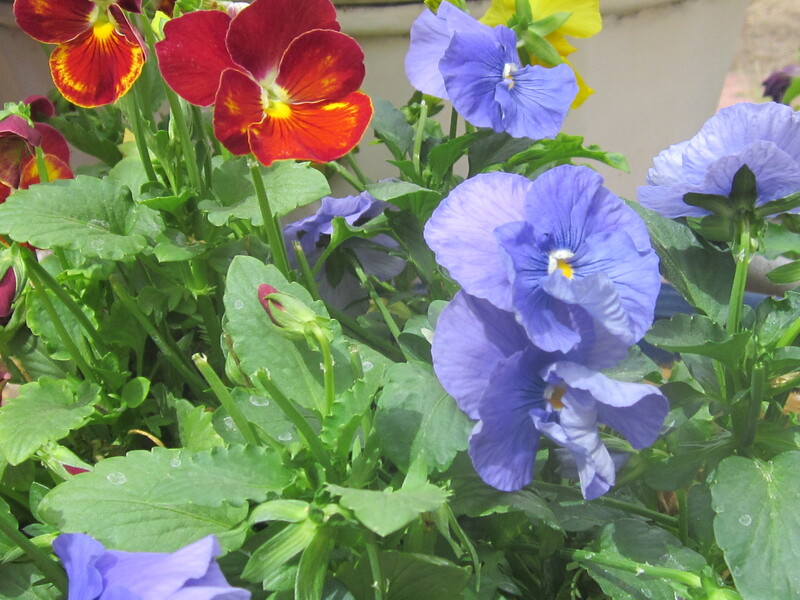 Other delicious salad additions are pansies and violas, their smaller cousins. 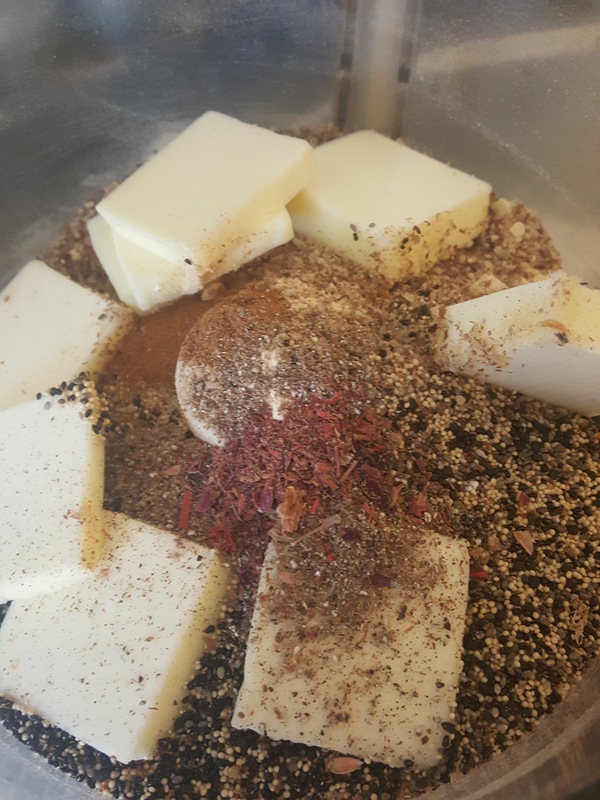 When I began gathering material for this post, I recalled a dish I made years ago that involved sauteeing chicken with cinnamon and rose water and then finishing the dish with a sprinkle of small rose and marigold petals. 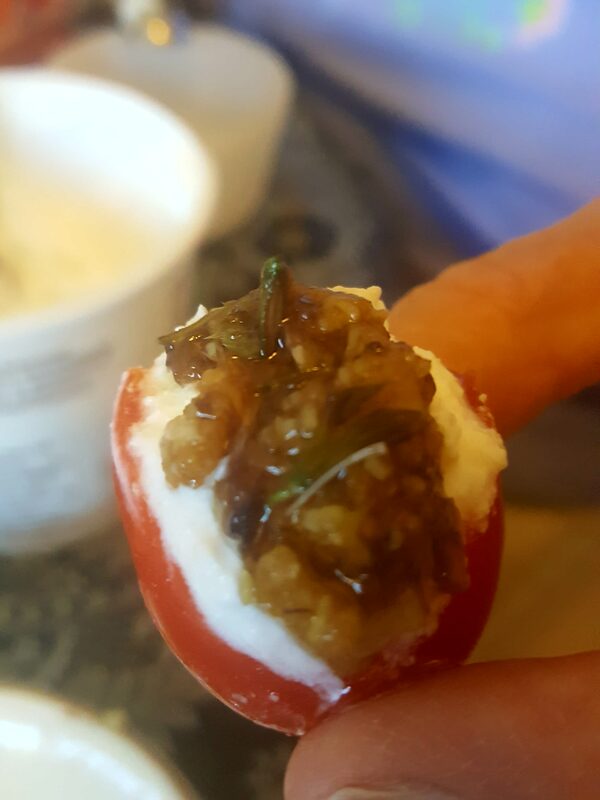 My friend Suzann and I served that at a wedding we catered for two naturalists. One of the most used flowers in cooking, particularly in Mexico, is the squash flower. The male flowers will never develop into squash, so you can harvest some of them. When I was in Oaxaca a few summers ago, I took a cooking class from Chef Oscar Crespo and just had the best time. One of the things we cooked was stuffed squash blossoms. Here is the recipe. Slice the cheese so that it fits in the blossoms. 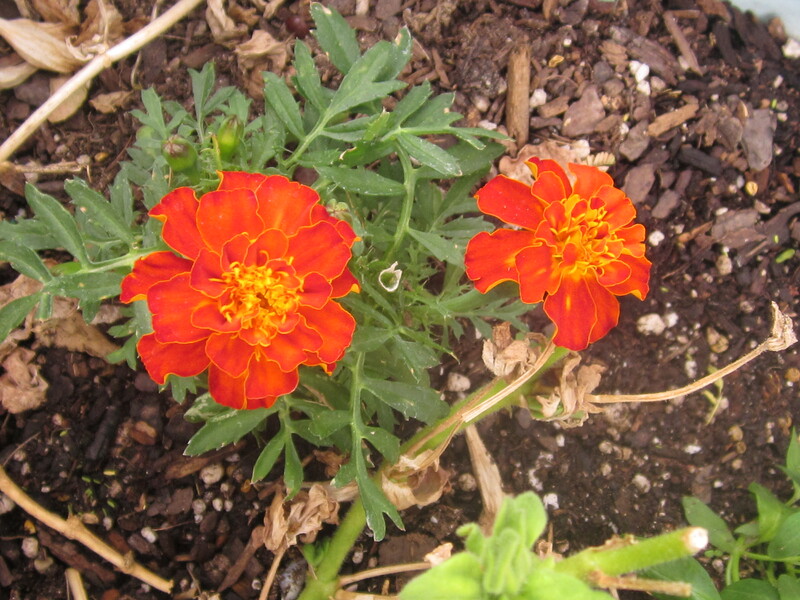 Remove the sepals and pistils (that’s the parts inside the petals), then cut the stem to 1¼ in . 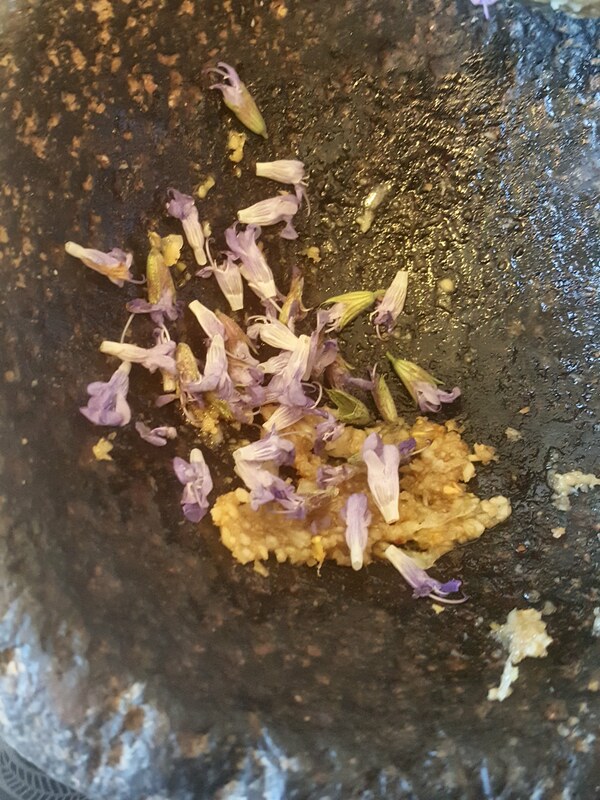 Fill the whole blossom with a slice of cheese and an epazote leaf. Push the cheese all the way in, and twist the petals to close. Make a batter with the flour and club soda, starting with 1/2 cup of the club soda. Add more if necessary to make a thin batter like pancake batter. Place the oil in a frying pan and bring to high heat, about 350 degrees. Dip the stuffed blossoms in the flour mixture. Fry them for 2 minutes or until golden brown, turning at least once. Remove from the oil and drain on absorbent paper. 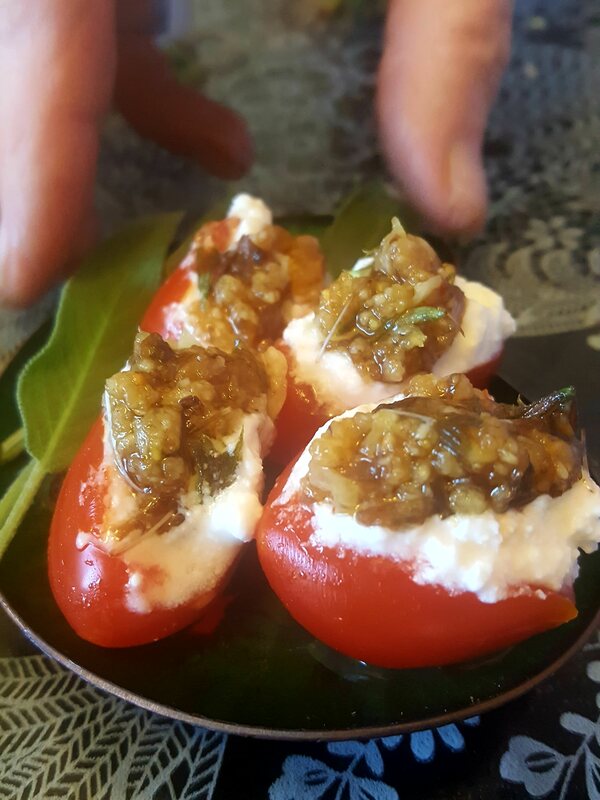 These can be served accompanied with a red or green salsa or floated in a tomato broth. For more ideas on cooking squash blossoms, check here. 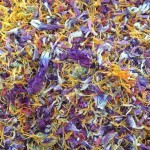 If you want more information on edible flowers, you can click here and here. Carolyn Niethammer writes books on the food and people of the Southwest. After all the the hoopla, meal sharing, and resolution making of the season I am ready for some simplicity. 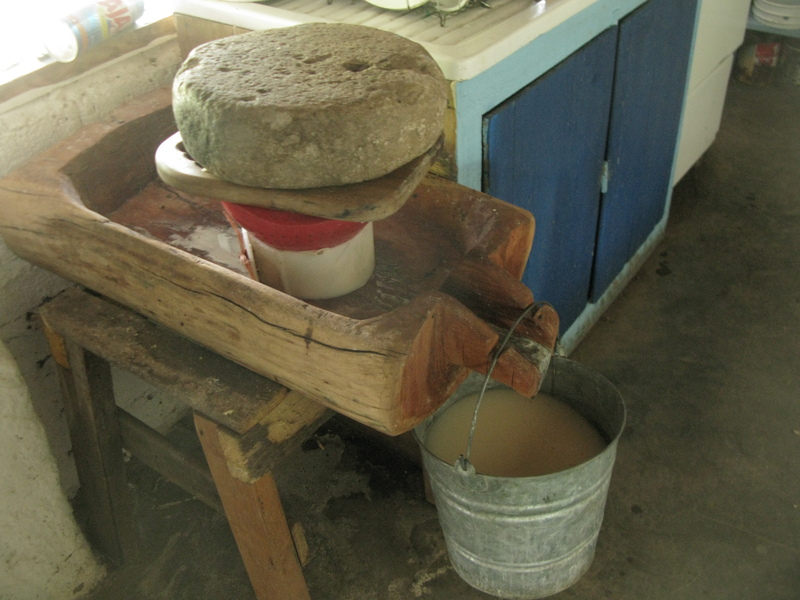 This “do it yourself” cheese making recipe echos the cheese making “en el campo”, but requires no milking of a ruminant animal (at least not by you). It is simple and, allows for some mystery to unfold as well. It is best made in small batches. 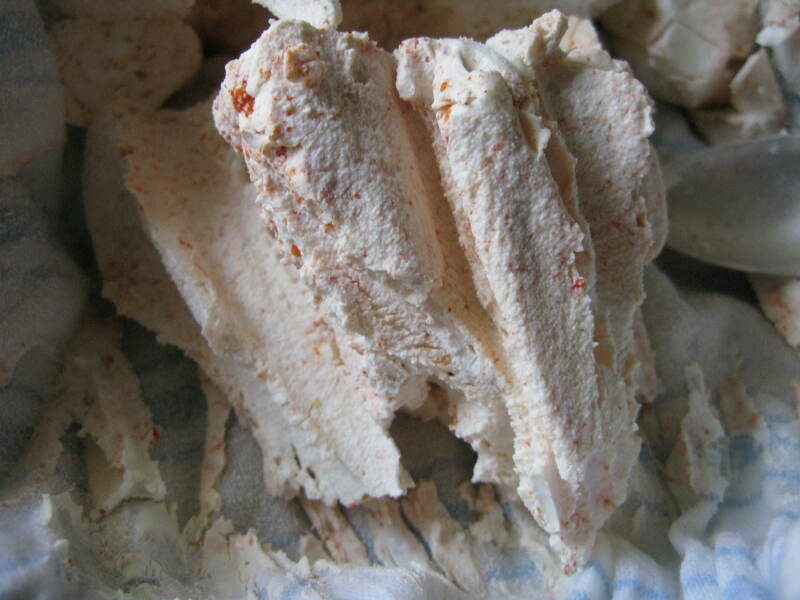 Presently, I am making this kind of yogurt cheese, rather than Queso de Campo, as we are letting our cows recondition right now. 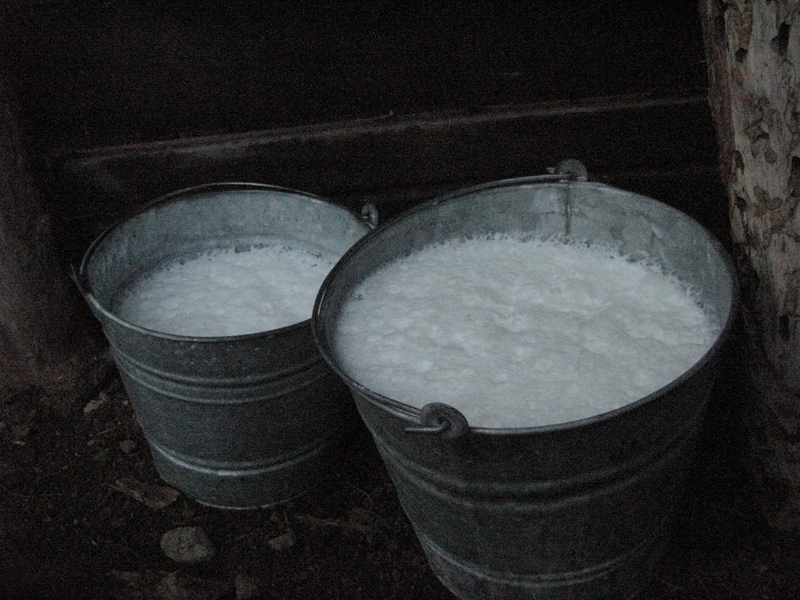 I share these photos of previous cheese making times on the ranch so you feel connected to the larger process. 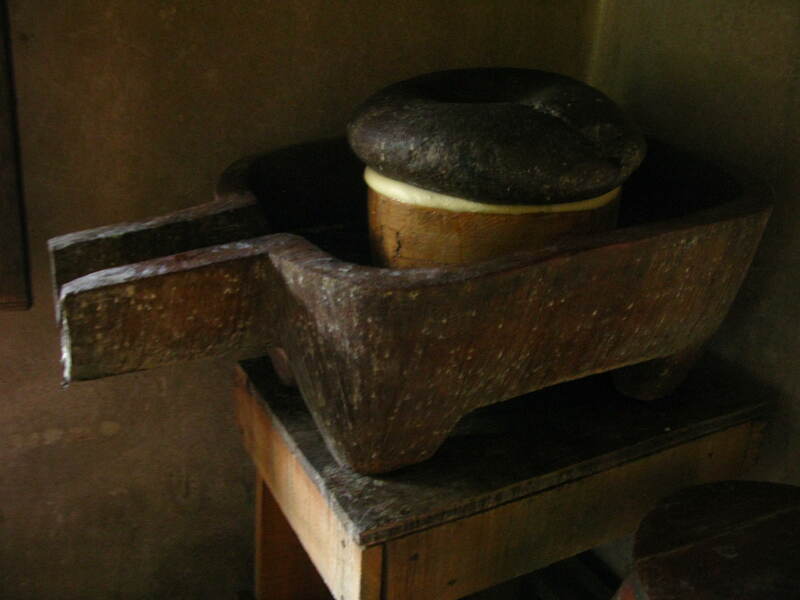 In the recipe that follows, you will have whey (the liquid-y part that separates, as the cheese forms – photo below) as well. 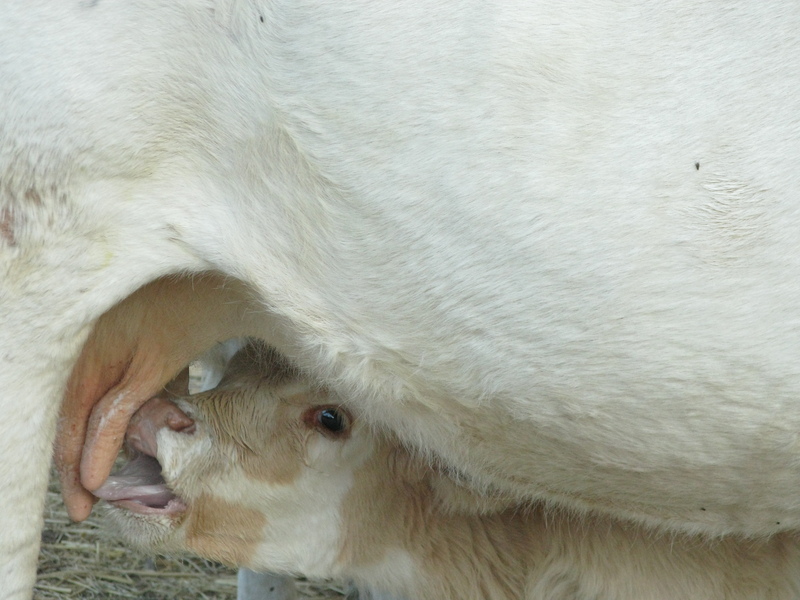 It is HIGHLY nutritious for all of us animals, whether two or four legged, so do not toss it. At the ranch we add it to foods, or share it with the dogs or the chickens. 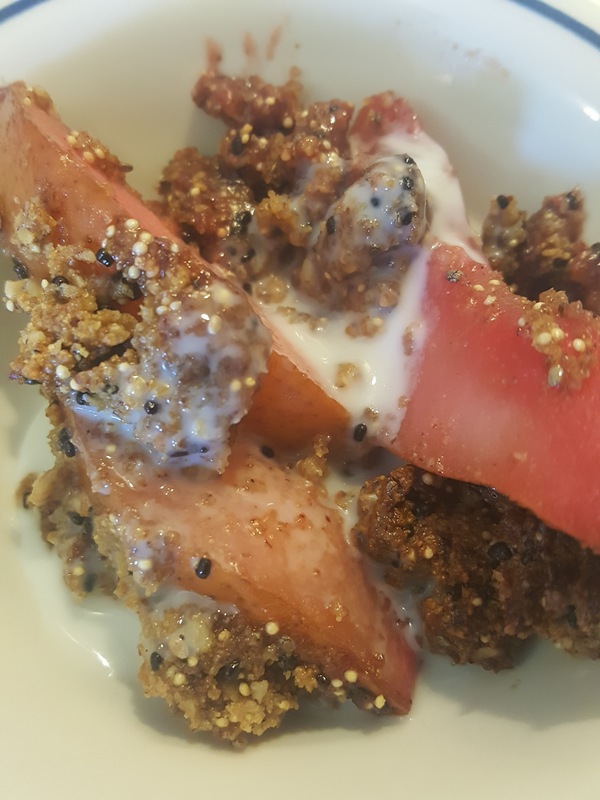 In the yogurt recipe, the whey is salty, so best not to share with your animals, but great to add to your own salads, fermented concoctions, etc. Yours will look clearer than that in the bucket below. 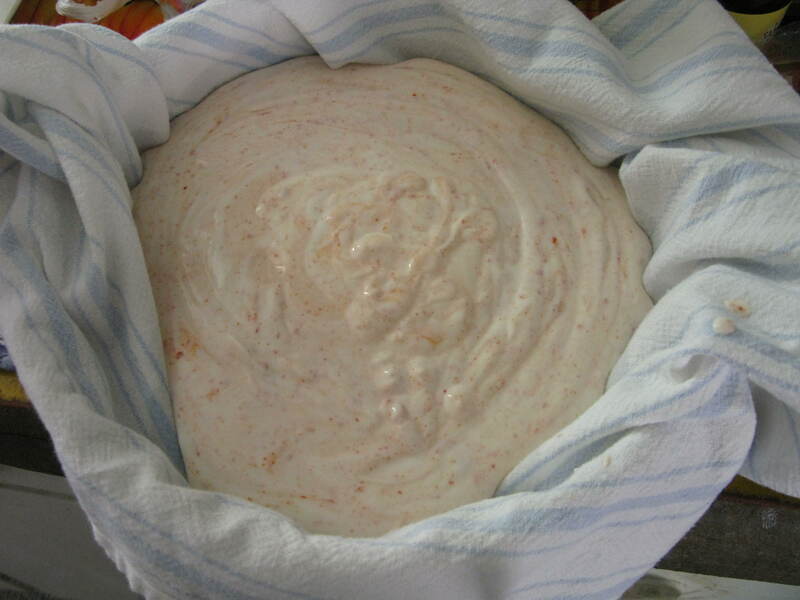 I’ll give you the base recipe, then suggest some fun ingredients; 24 hours later, as you unfold the cheese cloth towel, tune into the tastes and colors and textures that emerge. 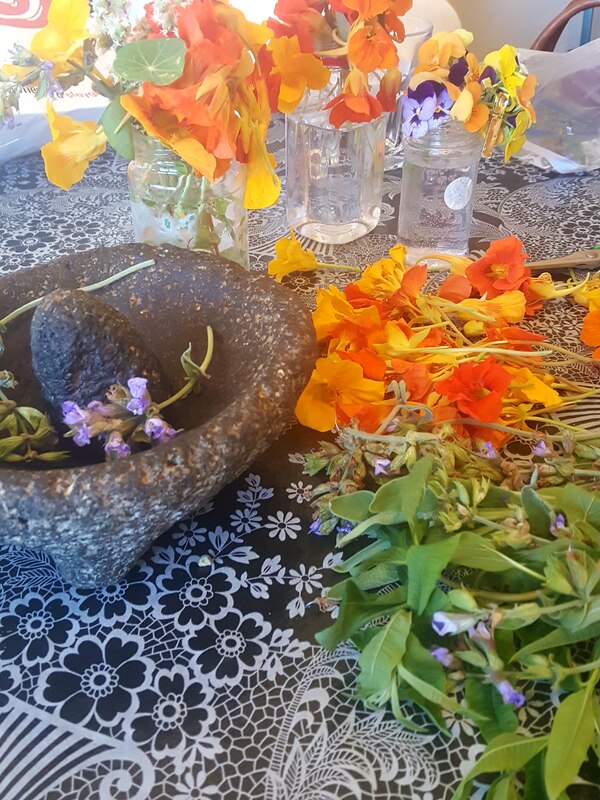 The magic comes as your tongue tunes into the eddies of taste that happen as the chile, or herbs, or flowers that you added, undergo an alchemy. It is an alchemy that you set in motion, but then must let go of. Good practice for life generally. THE BASIC RECIPE: Line a colander with a dish towel. Place colander over a bowl. 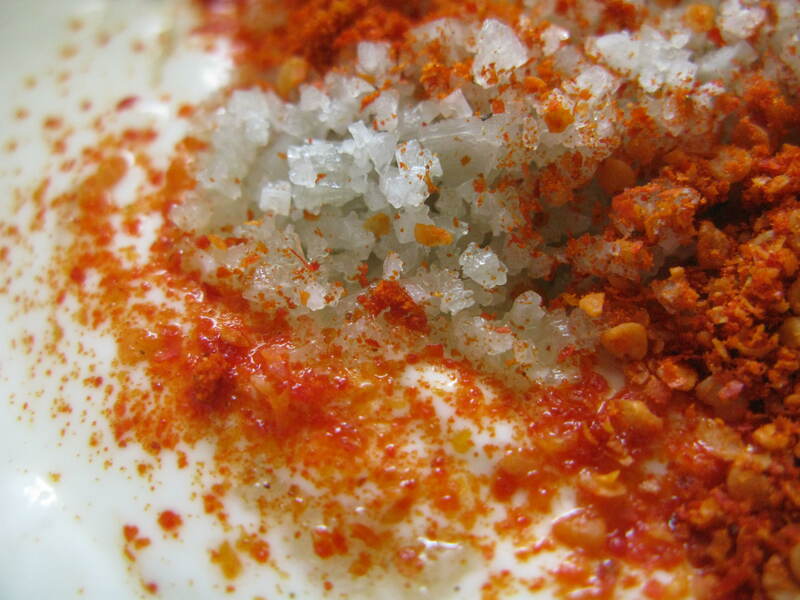 Combine the yogurt and salt in the dish towel and make sure the salt is mixed in well. Bundle up the towel and either place it in the fridge for 24 hours, or, hang it over a bowl. Either way the yogurt and salt interact, while the whey drips below. Try making the “basic” recipe to give you a baseline taste for your tongue. You could then add mint or herbs from the garden on top, with a bit of olive oil. 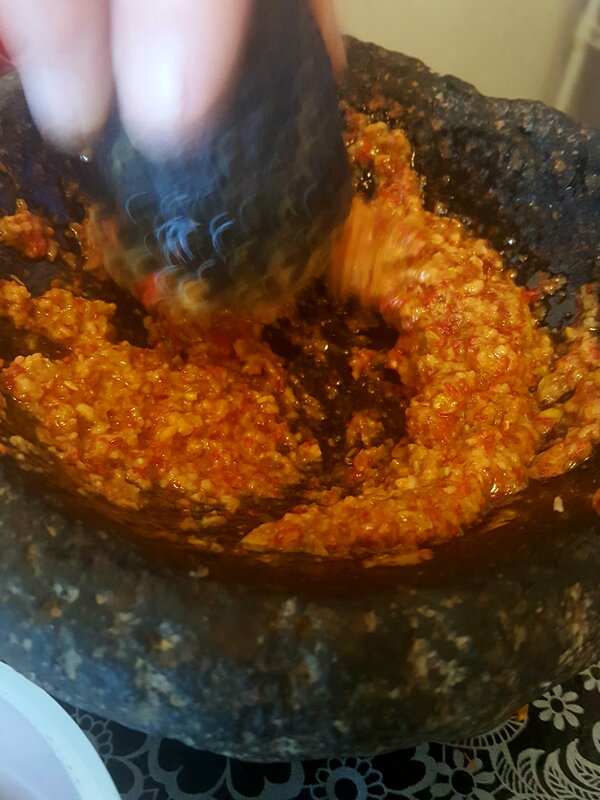 1 teaspoon dried crushed chiltepins (not only the chile flavor, but the COLOR, infuses into the cheese as well.And each batch is a little different) for a Chiltepin Cheese. A few tablespoons of fresh herbs from your garden. Rosemary is in high season in the SW right now, and you you can use both the herb itself as well as the flowers as well. 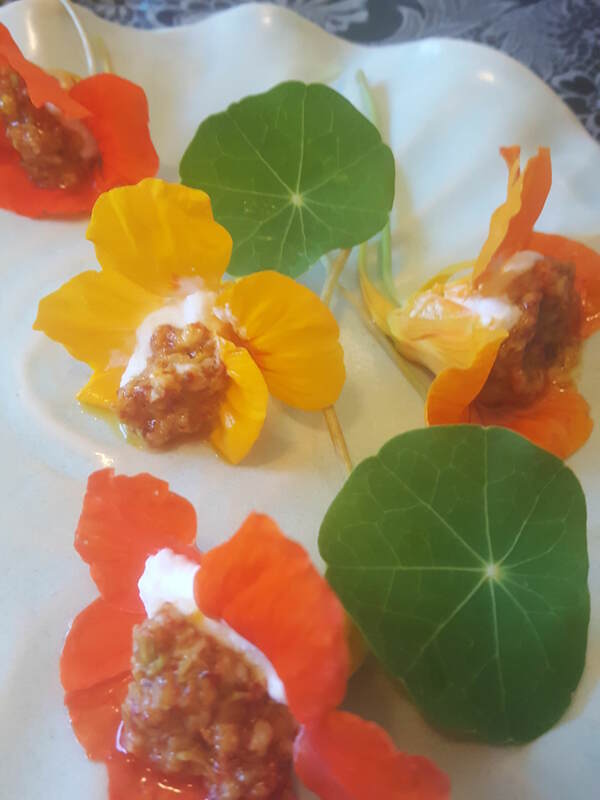 Edible flowers are really a delight to use as the flowers add both flavor, often not what you expected, as well as beautiful colors. 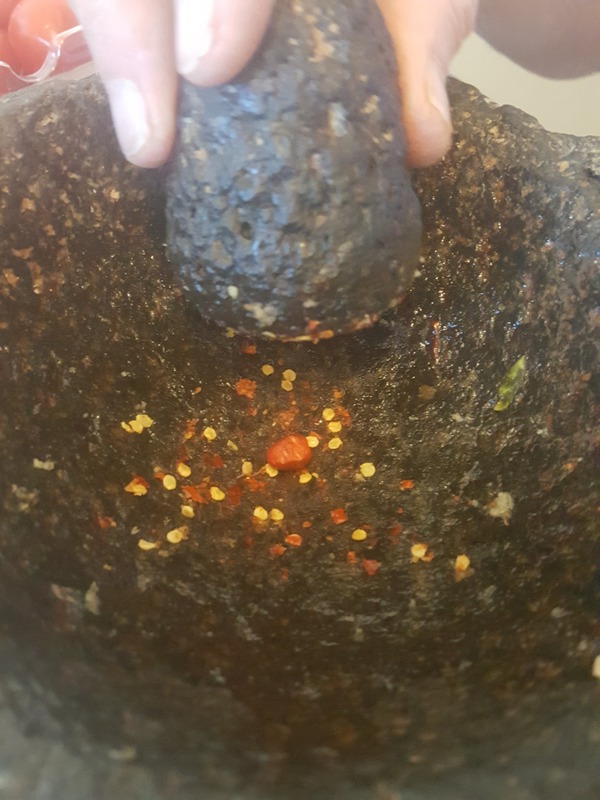 Then with all the ingredients mixed, tie up your cloth, place over bowl, and let the magic happen. In 24 hours, when you open the cloth, the transformation will be yours to savor. Eat by the spoonful. 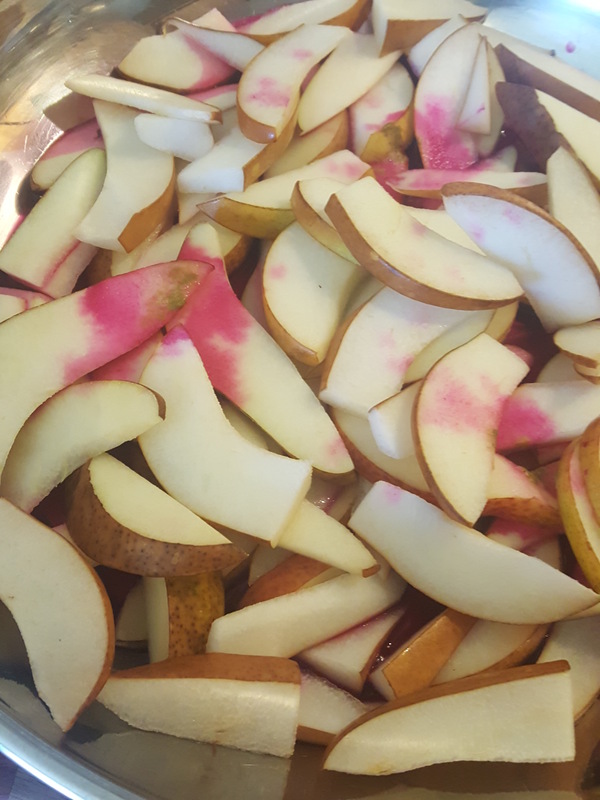 It is great on sliced radishes, or rolled in fresh greens from the garden (both growing robustly in our gardens right now, here in the SW). Or add to a lightly sauteed vegetable dish. I place my finished cheese in a glass container (so I can enjoy it visually) and add olive oil to seal it, even while I cover it with a lid. It seems to stay fresher. Keep it in the fridge. 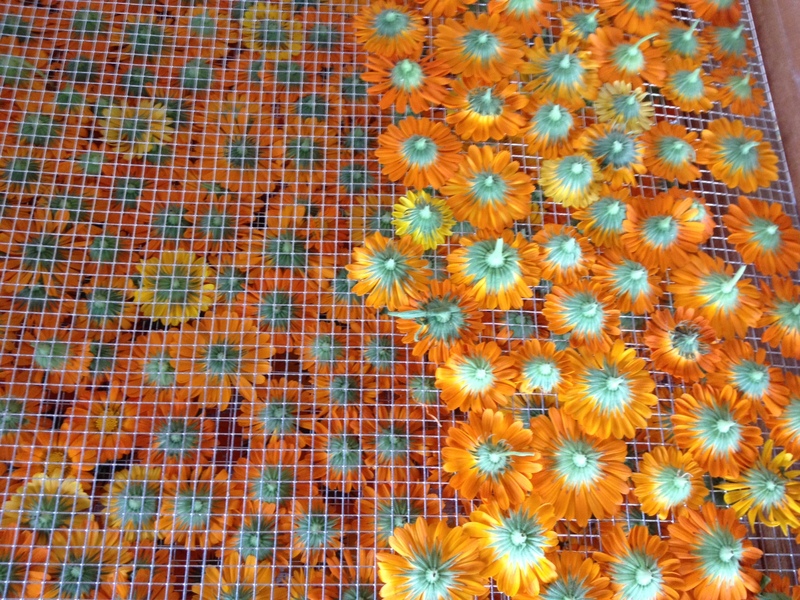 Below: Using edible flowers right before tying up the cloth.